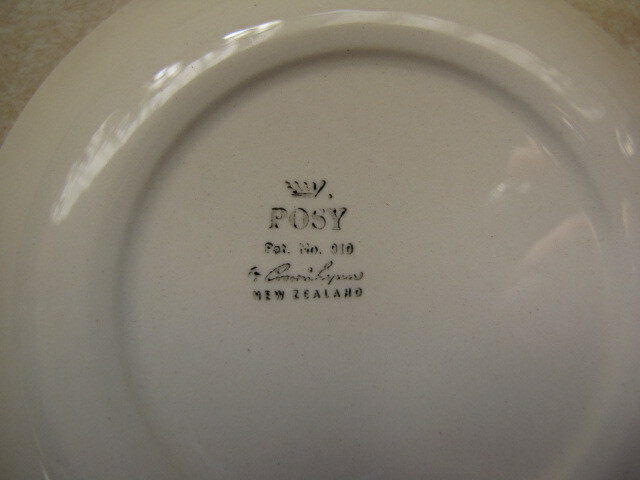 A pretty Posy cup that matches narna's - can't tell if the backstamp says 910 or 918! Found another pretty Posy pindish yesterday in one of my haunts, hope it is not the one that went missing Ev. Again the Backstamp number is very hard to read but I will go for 910. 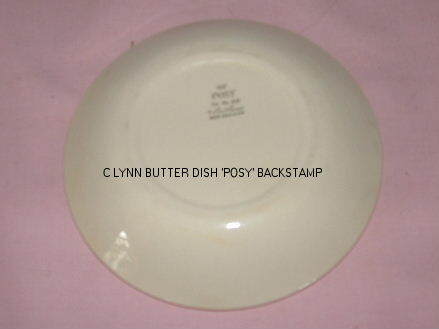 I notice that this POSY backstamp is not posted in the gallery. Thanks, mystery finally solved - i have two mugs with just the standard made in new zealand stamp and nothing else on them. They are more like mugs than cups tho, does anyone know how old would these be ? AndreaPilkington wrote: Thanks, mystery finally solved - i have two mugs with just the standard made in new zealand stamp and nothing else on them. They are more like mugs than cups tho, does anyone know how old would these be ? If they had a four digit number, it would have been made after 1964. Hard for me to say with just the words Made In New Zealand. Do they have the Posy pattern on them? 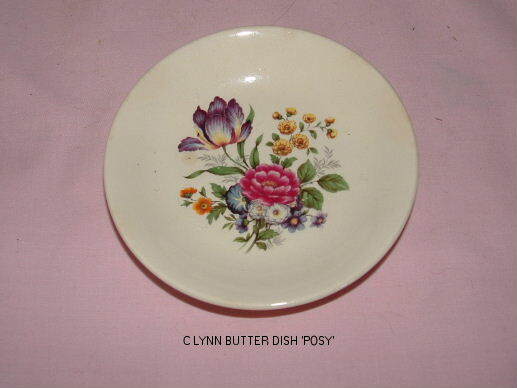 I too have a posy pin dish. Pretty sure the number on back says 910? Photos from Andrea and well done for finding the pattern name out of the many hundreds on the site. 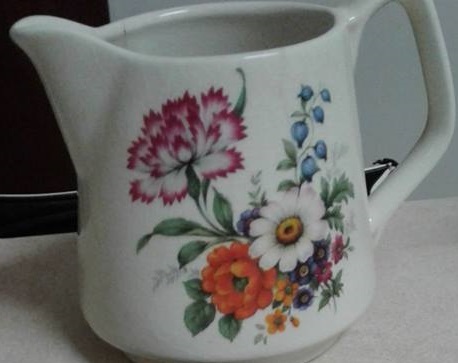 We don't have the number for this shape ..... yet, so I'm only guessing that it was made around the time of the 1300 mug which has similar embellishments around the top. 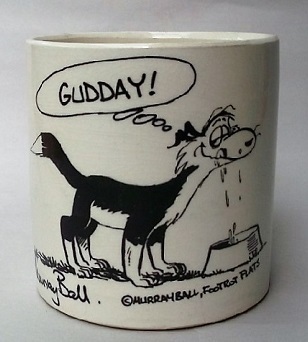 The 1300 mug was first made in 1979. Hi, that is an unusual shaped cup/mug. Never seen that one before. 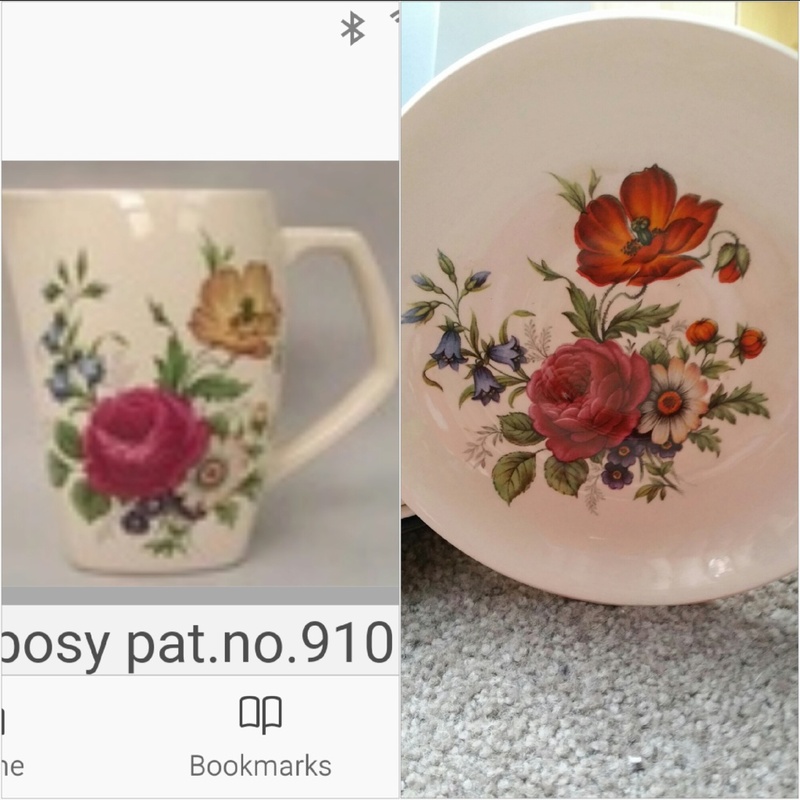 Forgot to mention that the flowers on my posy patterned dish are the same as the first picture and those mugs. The Posy pattern is one of the unusual patterns as there is more than one variation with the same name and number. Another I can think of is the Cat decals .... several different ones, but all with the same pattern name and number ..... ? Someone has posted the same shaped cup as Andrea's somewhere on the site, I thought it was sunny or Dasiem, but I've searched high and low and can't find it ..... help ! Would you believe i was looking up a new plate i just brought in the gallery as i didn't know its name which lead me to a thread about it - Frisco, and there at the top of the thread was the mug you are looking for - same shape as this Posy one ! Quite bizarre how i stumbled across it. I have a whole set of 6 trios but they are all the same print, but then when it comes to my jugs and pin dishes I have about up to 4 I think? Ev I saw you mentioned earlier these possibly being much like the Tiny Tots range, I'd tend to agree but am still looking for confirmation that there are 6 styles out there. Will try and get some photos up of the patterns I have in this over the next day or so. I've been looking for this saucer for months.... I knew I had it... but where after sorting through my stash, finally I found it. I am sure it's in the gallery as it looks like the pattern on the jug.